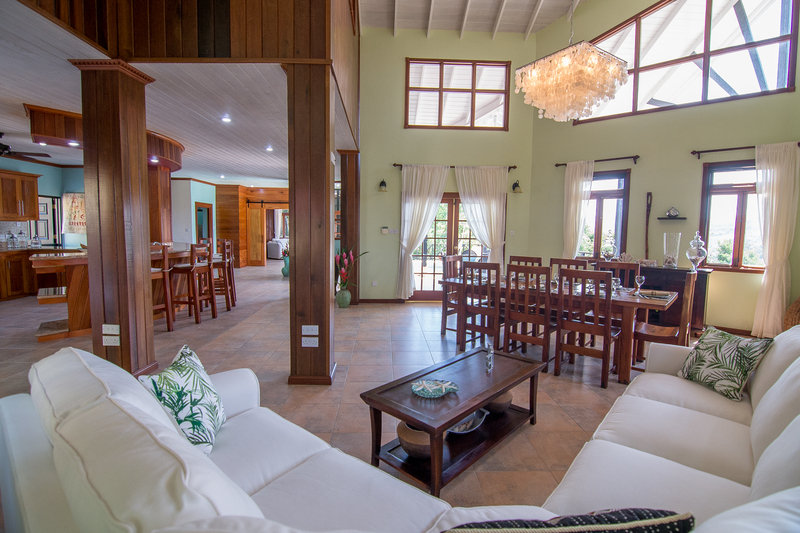 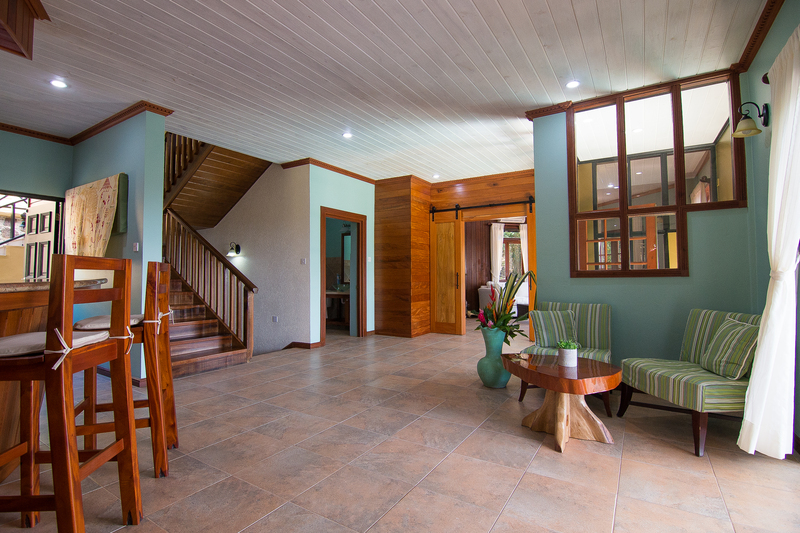 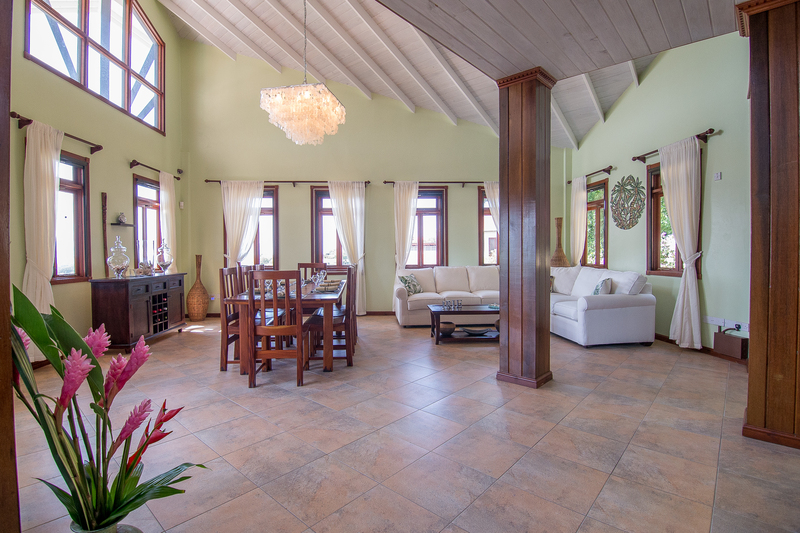 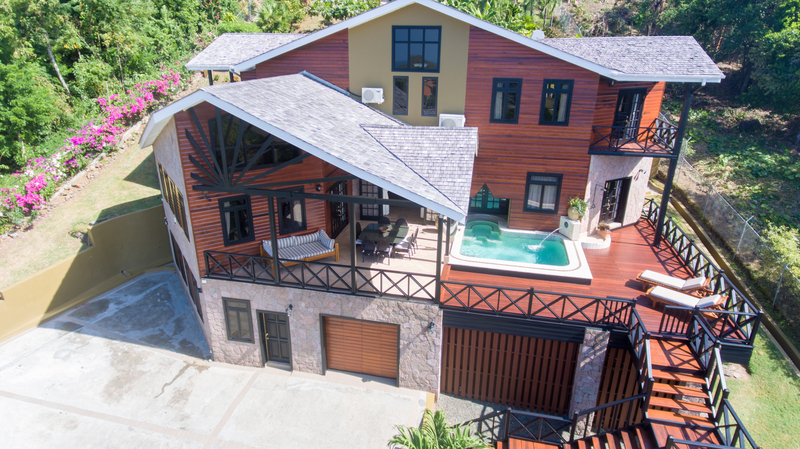 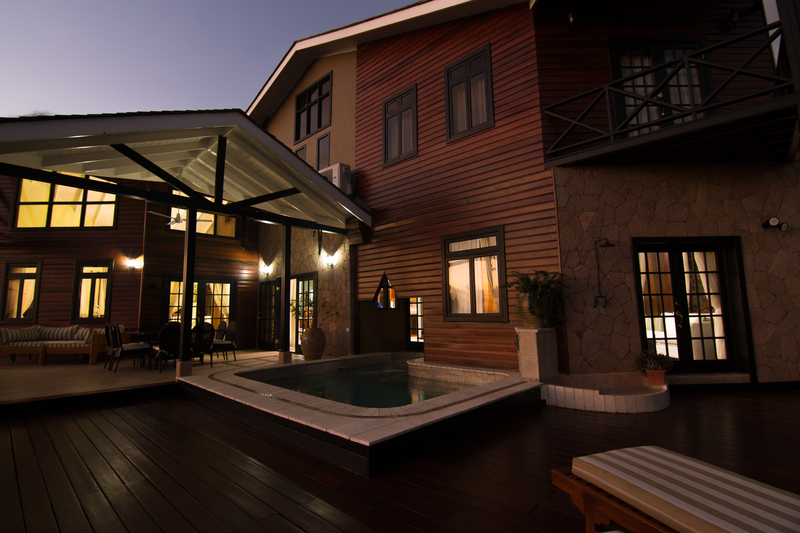 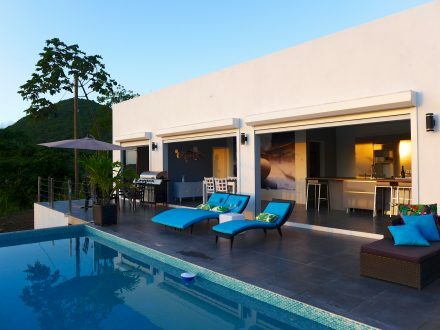 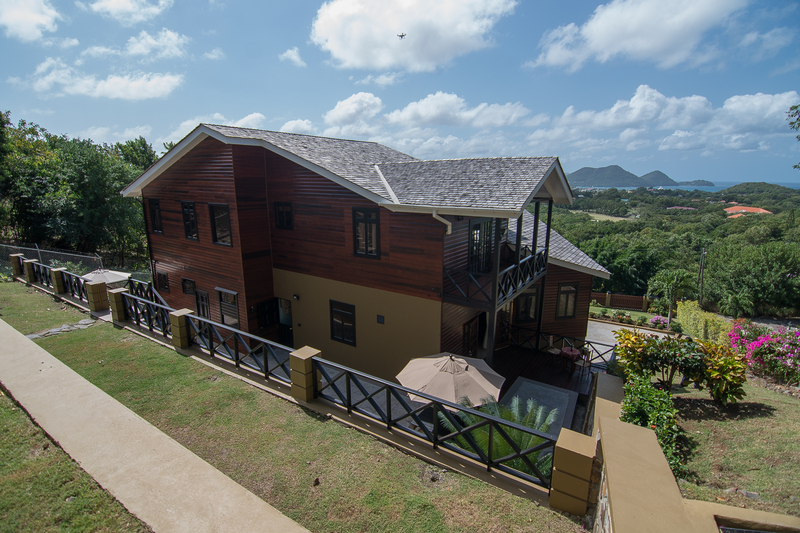 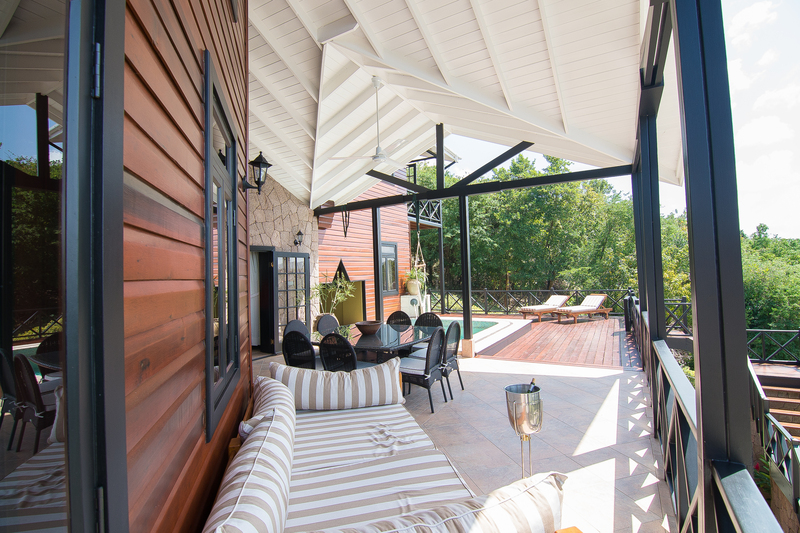 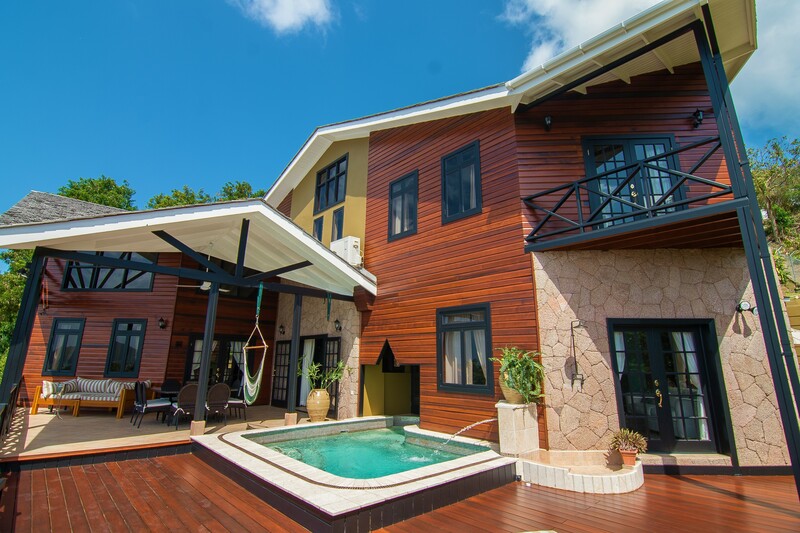 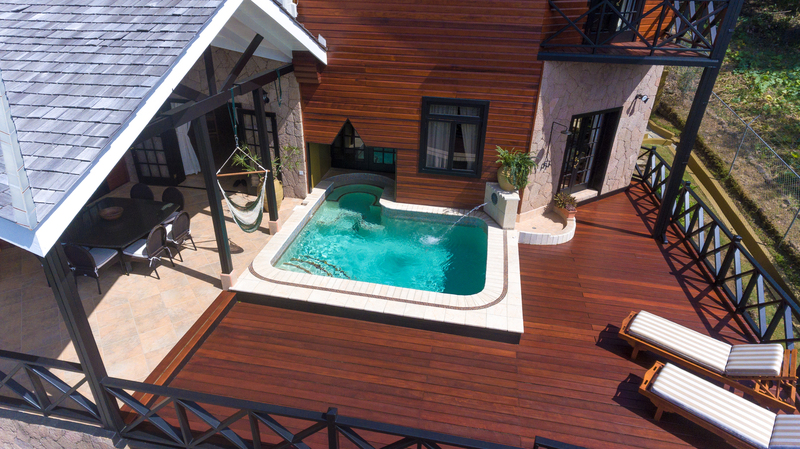 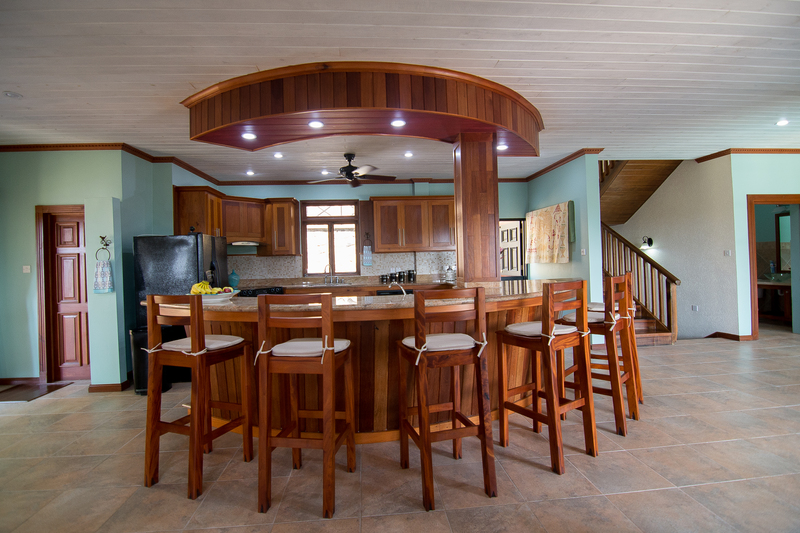 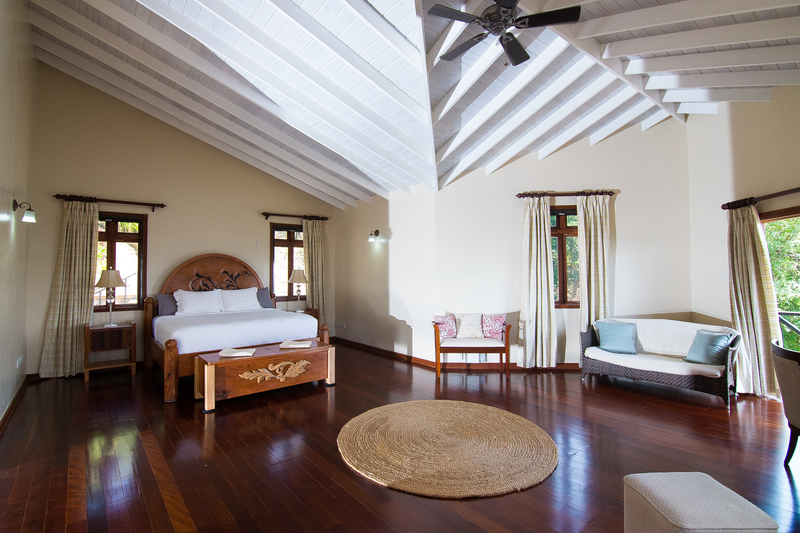 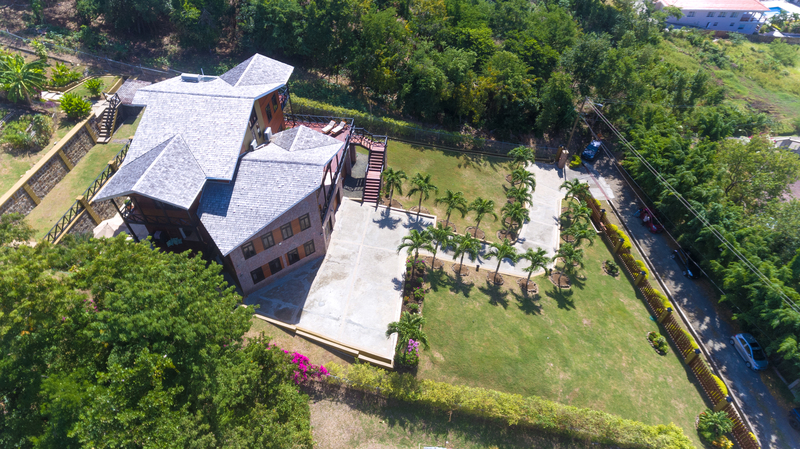 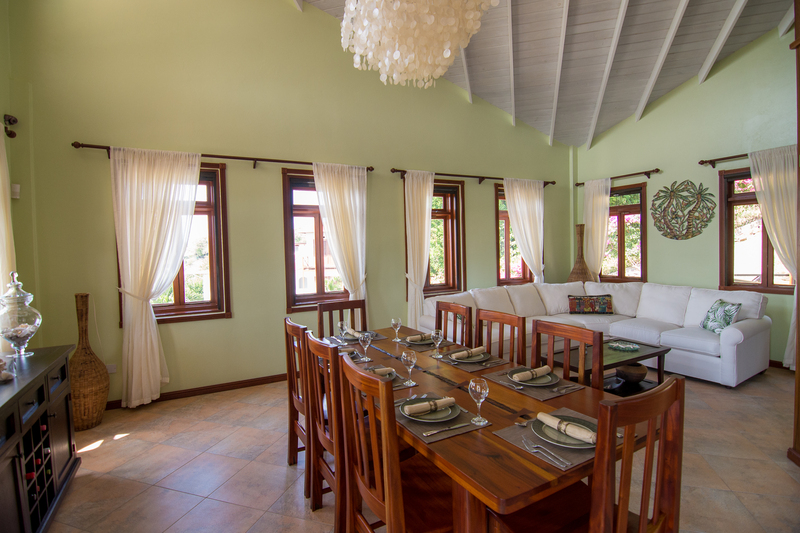 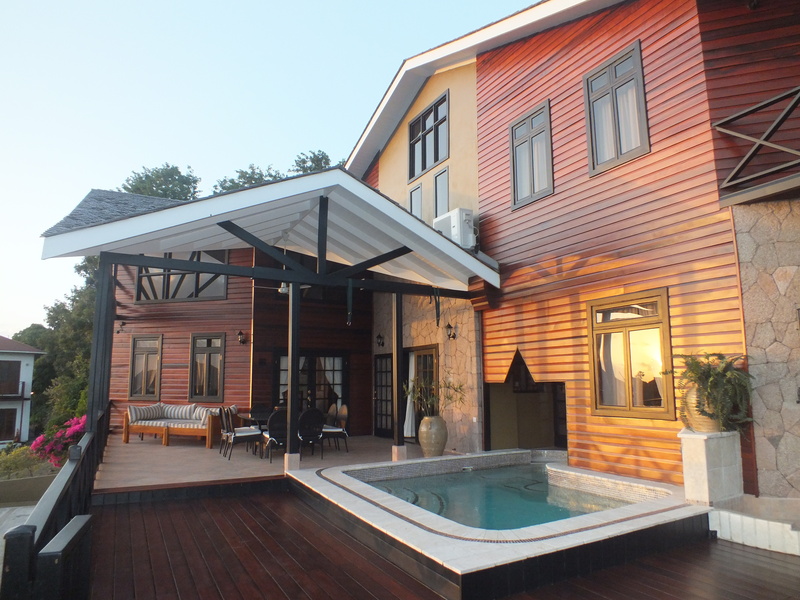 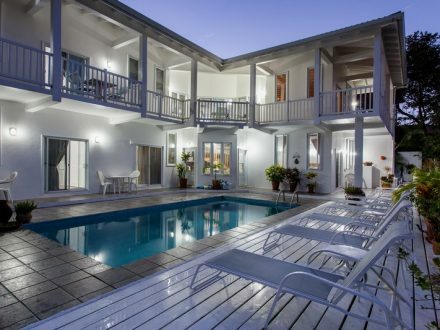 There is a “special vibe” at “Irie Heart Villa”, where the dramatic location fuses with traditional and modern Caribbean architecture into a chic yet comfortable home. 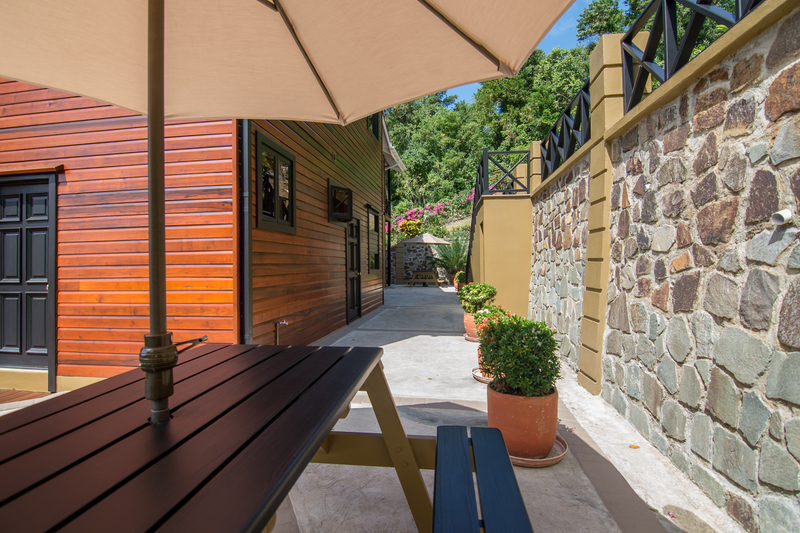 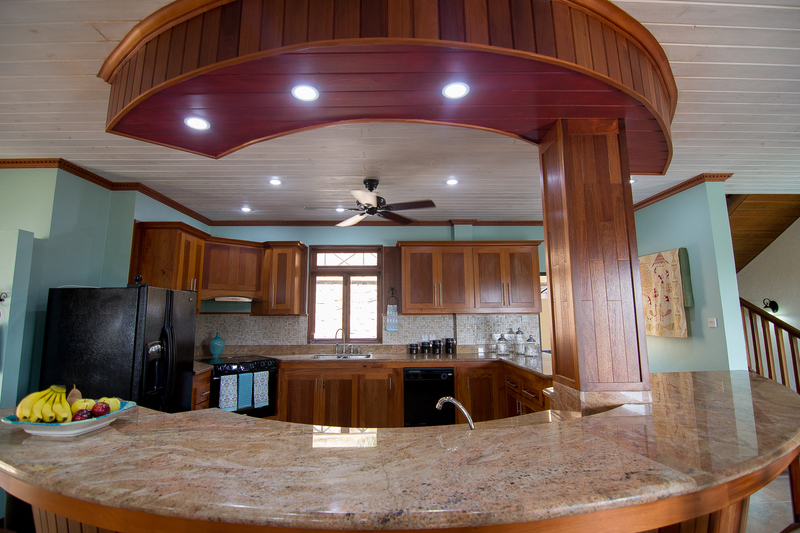 A stylish design incorporates the warm pink of Soufrière stone with dark-stained greenheart and contemporary black-painted accents, in a fusion of traditional with modern. 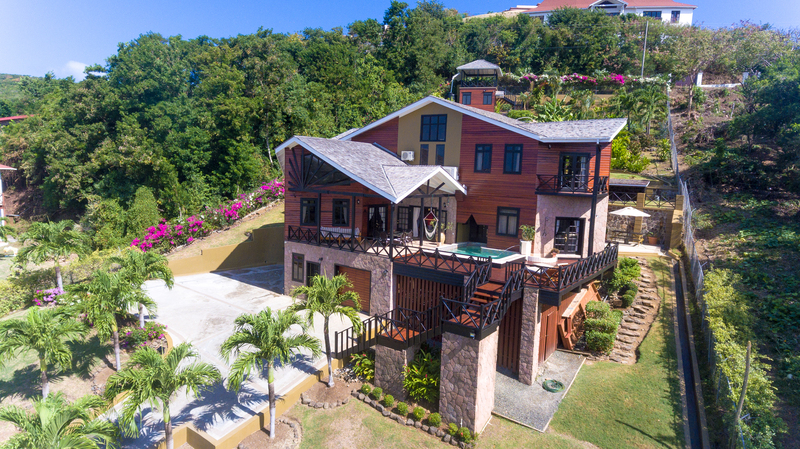 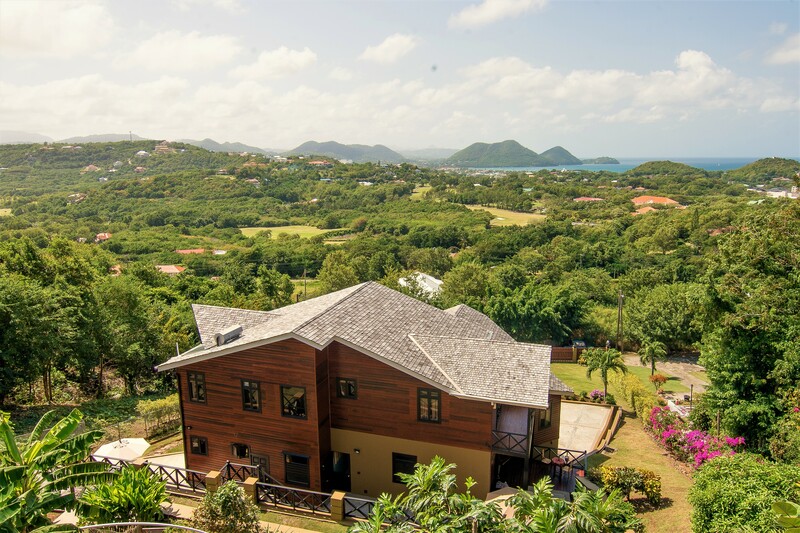 Located in a peaceful and upscale neighborhood in Cap Estate, with panoramic views and an eyeful of high-end details, “Irie Heart Villa” is ideal for relaxing, entertaining and enjoying a real tropical lifestyle. 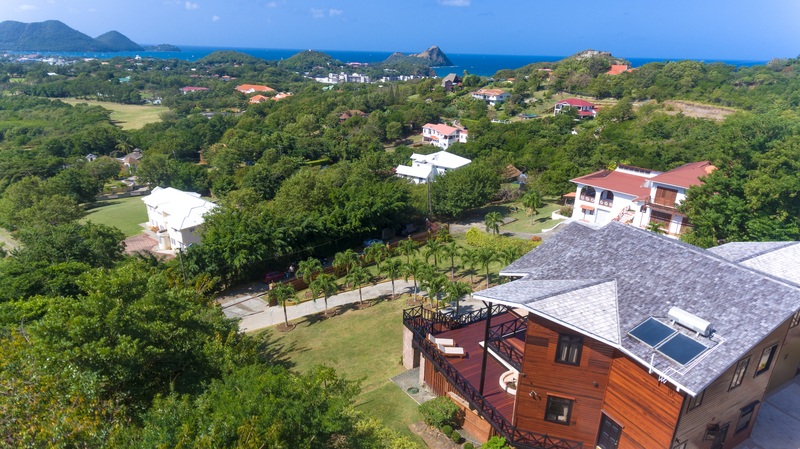 An added bonus is its beautifully manicured tropical garden boasting lime trees, mangoes, breadfruit, pumpkins and even a kitchen garden. 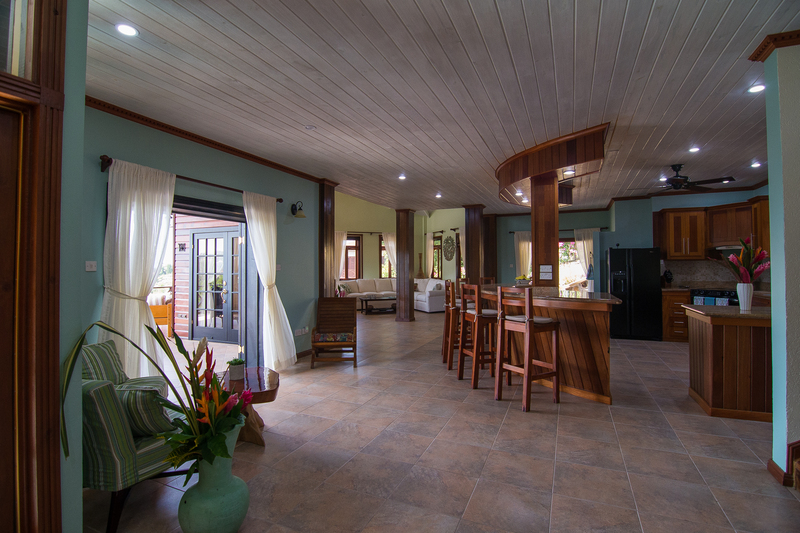 tones and subtle tropical accent colors. 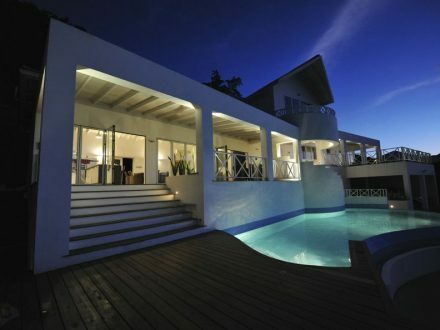 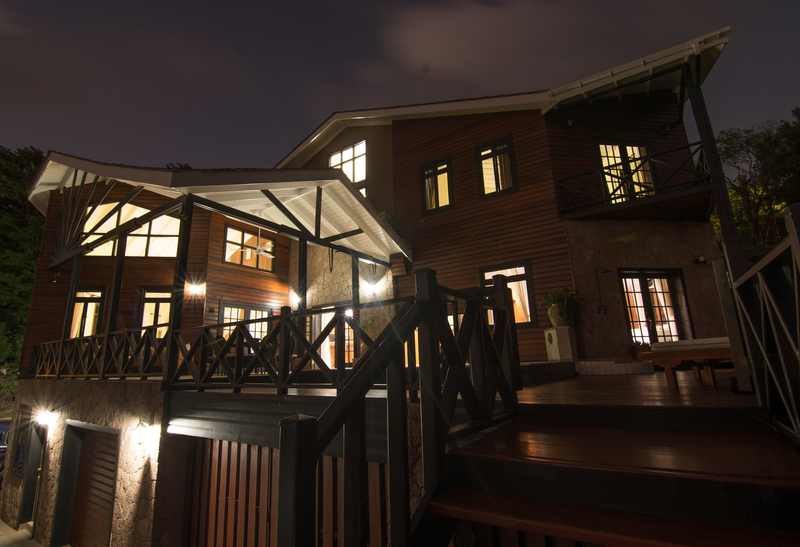 Entrance via the spacious pool deck with plunge pool and outdoor living-dining terrace. 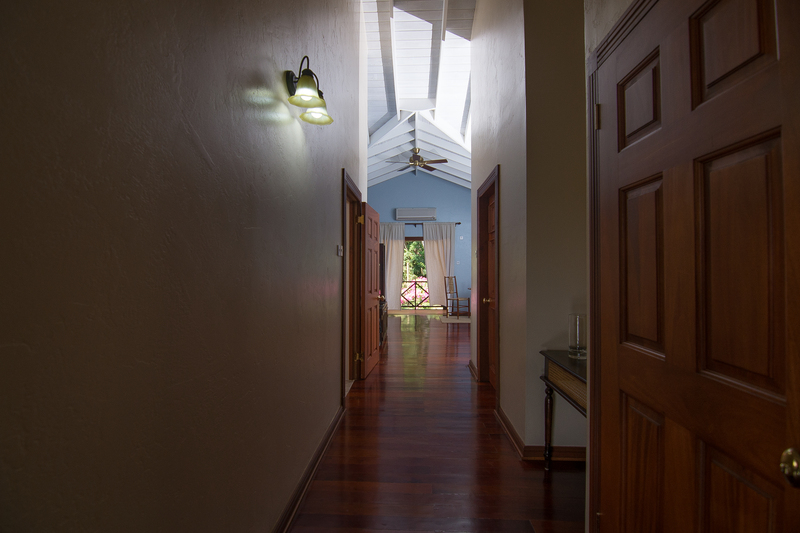 and natural ‘air-conditioning’ from Caribbean breezes. 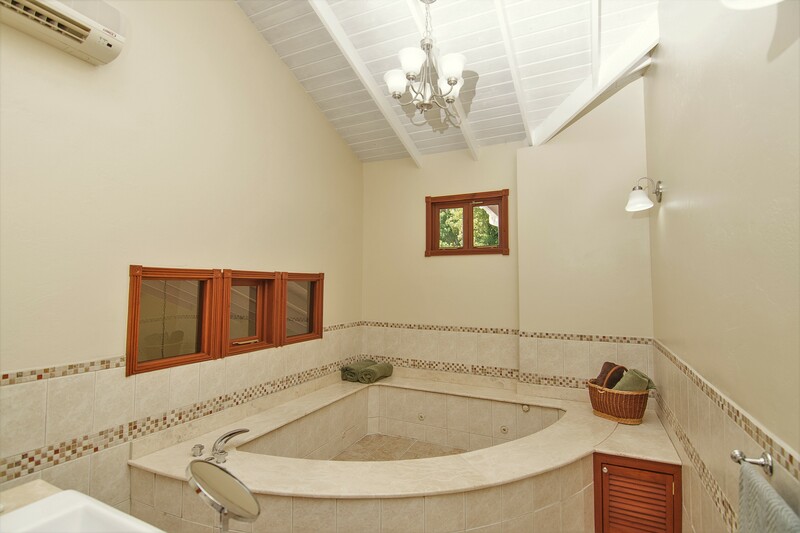 glass sink and a roomy glass shower. 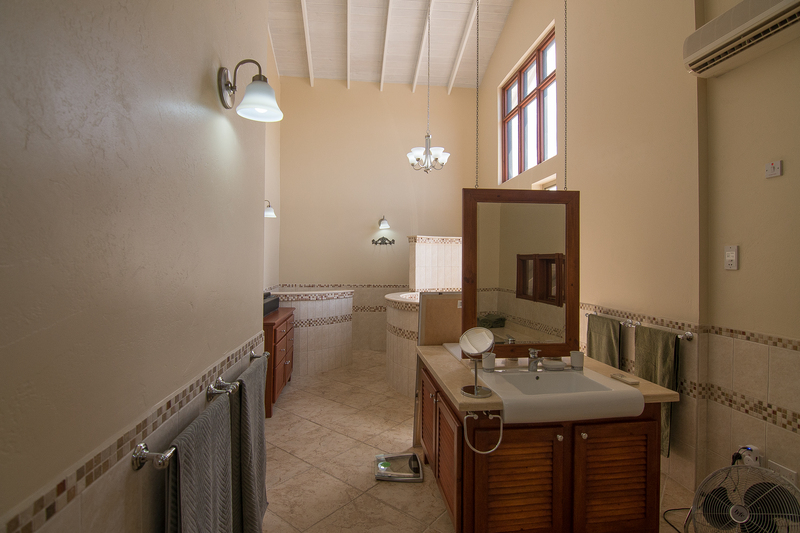 Laundry room with washer, dryer and other utility supplies. 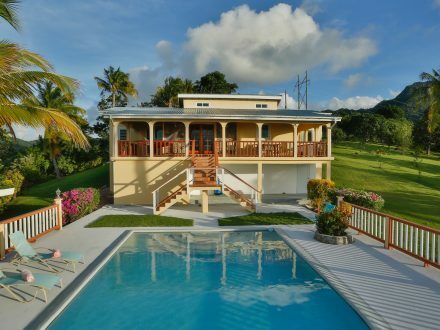 cooling on most balmy, tropical days. 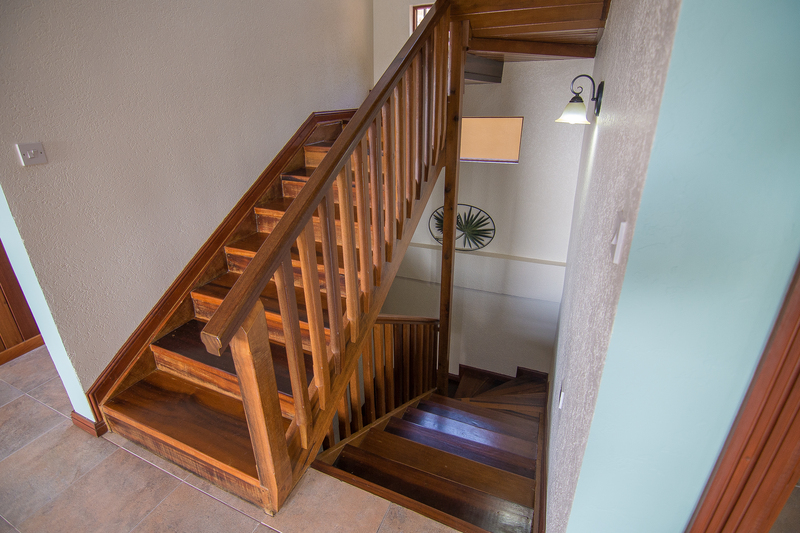 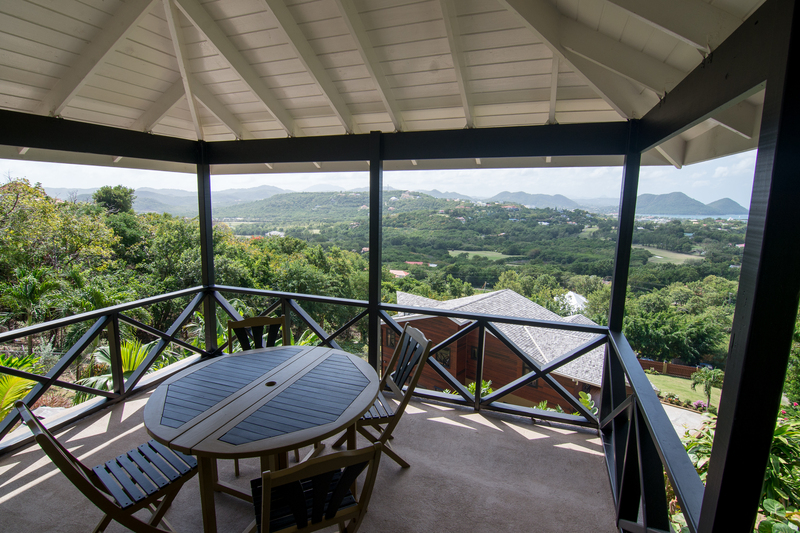 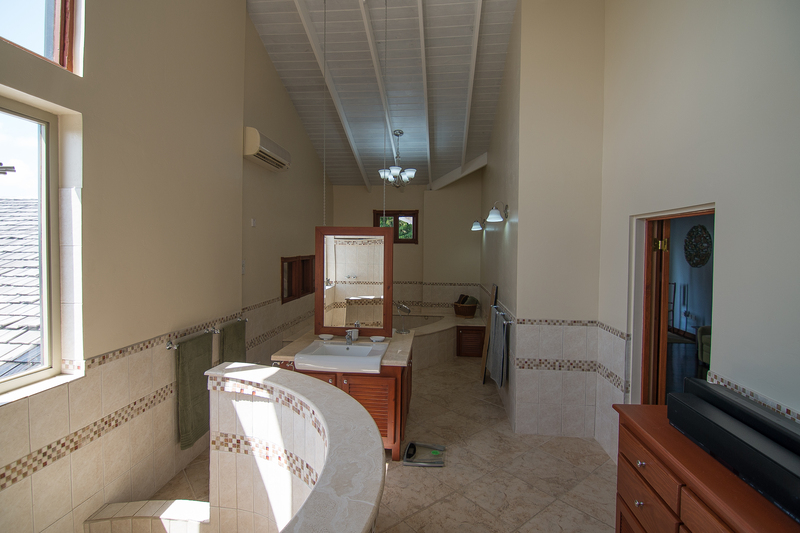 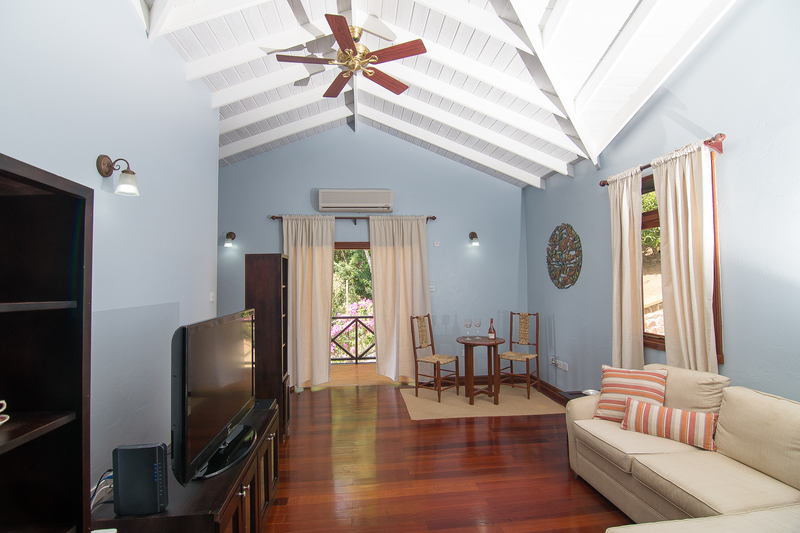 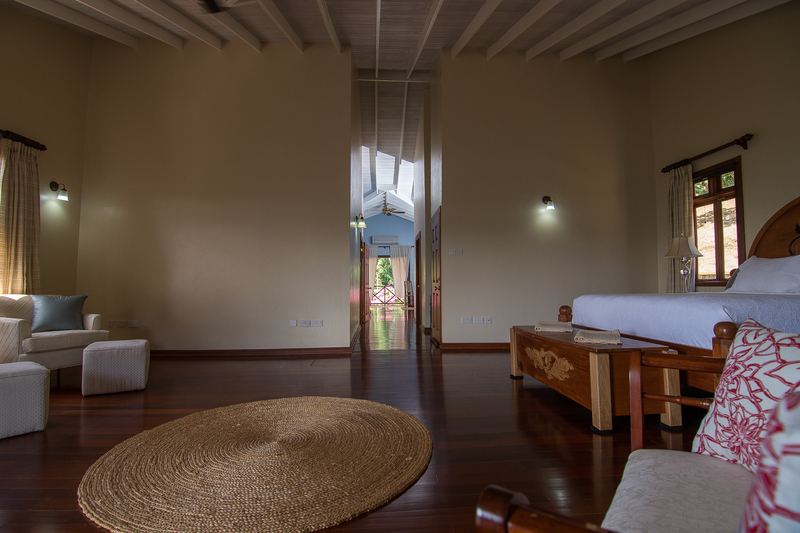 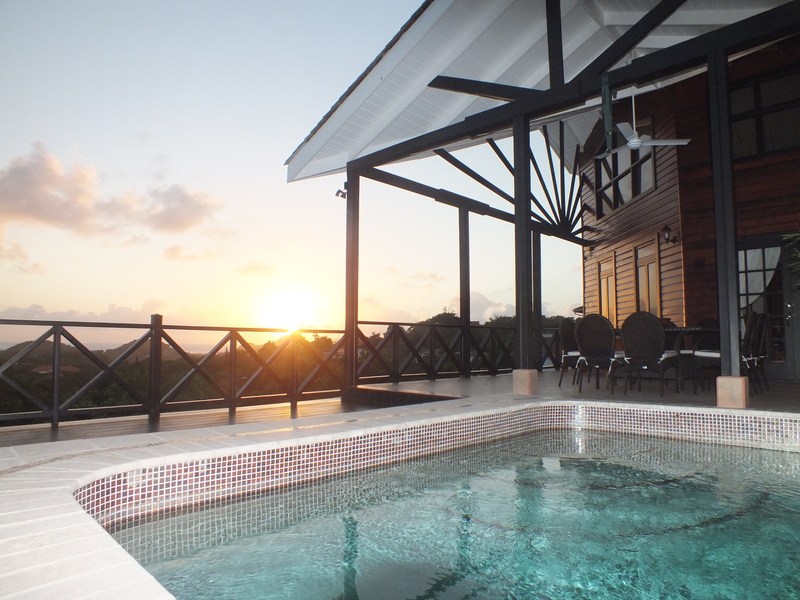 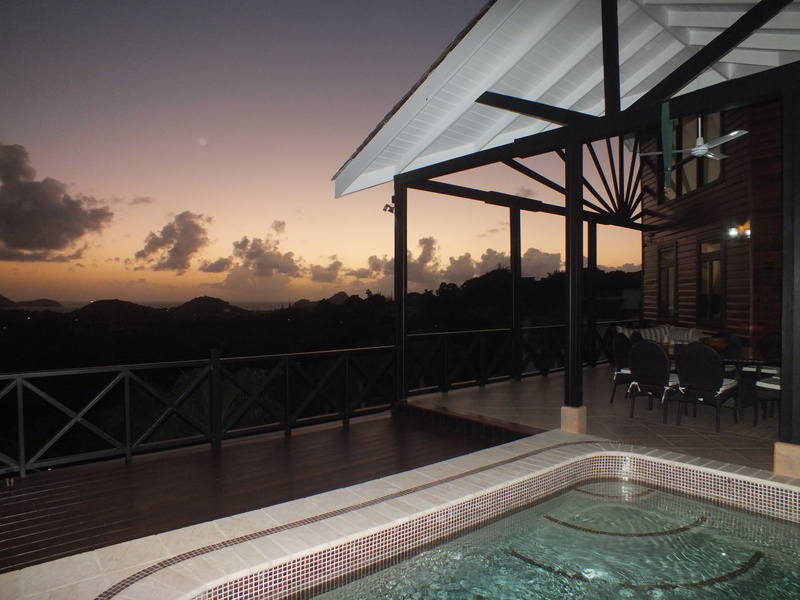 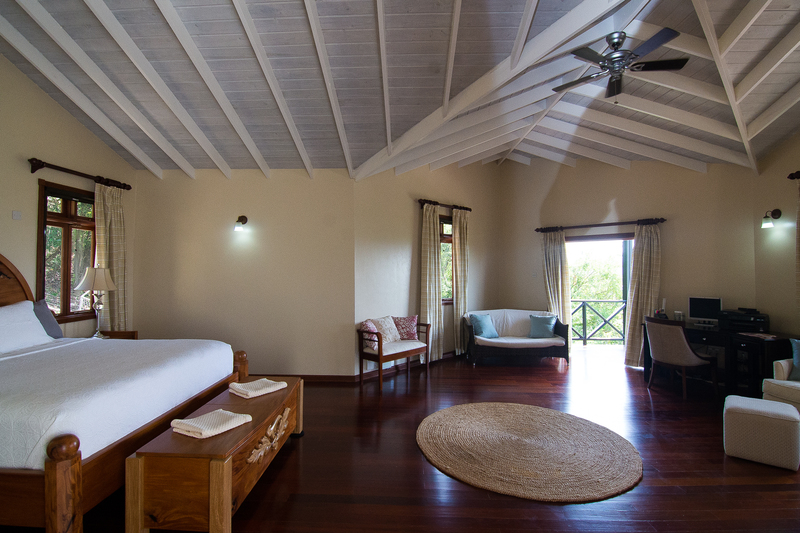 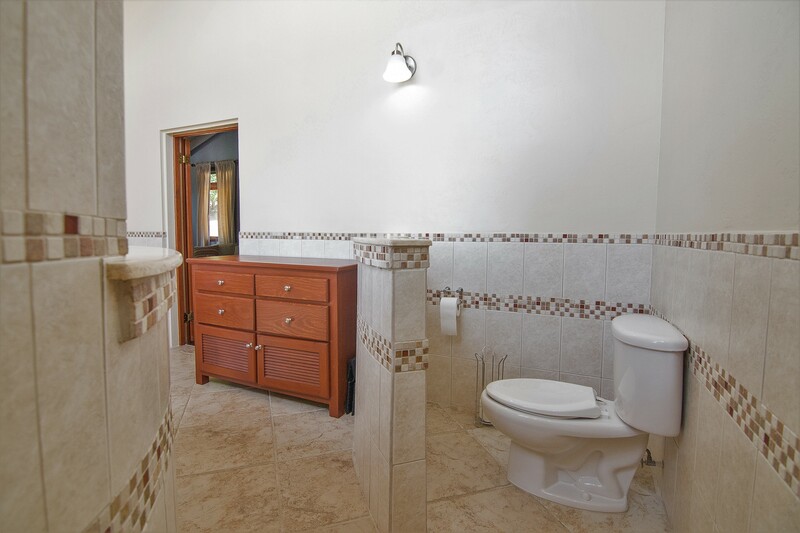 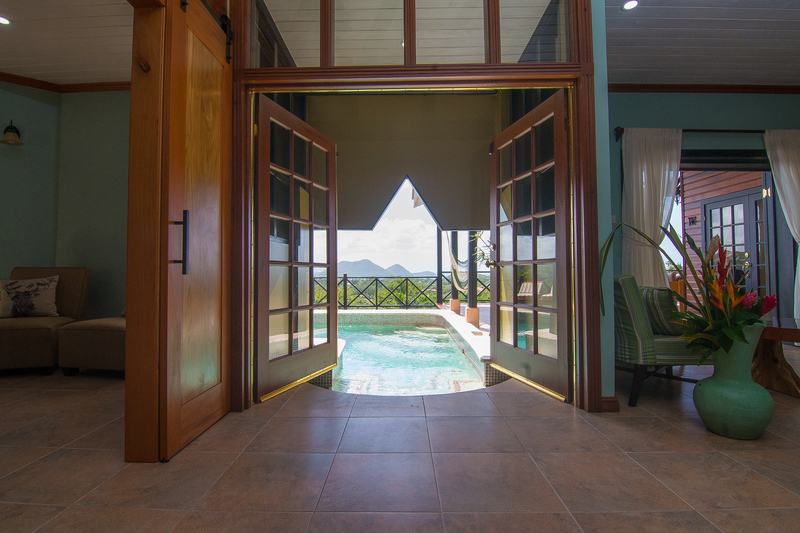 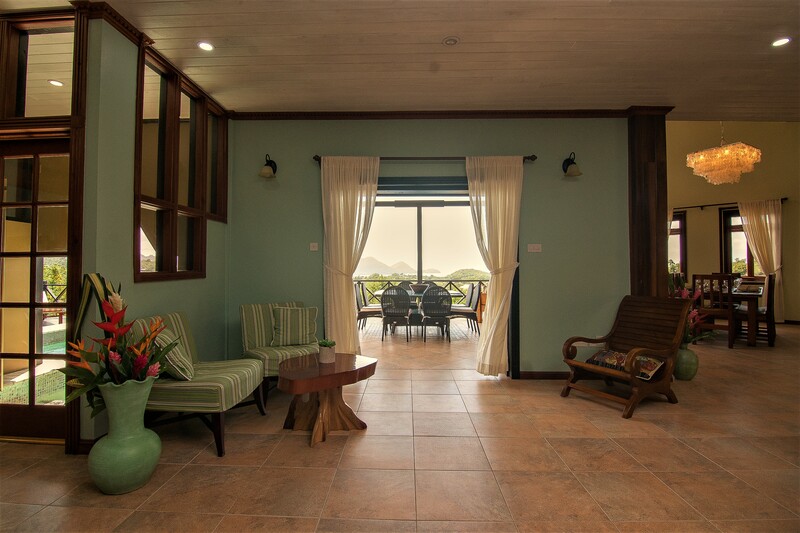 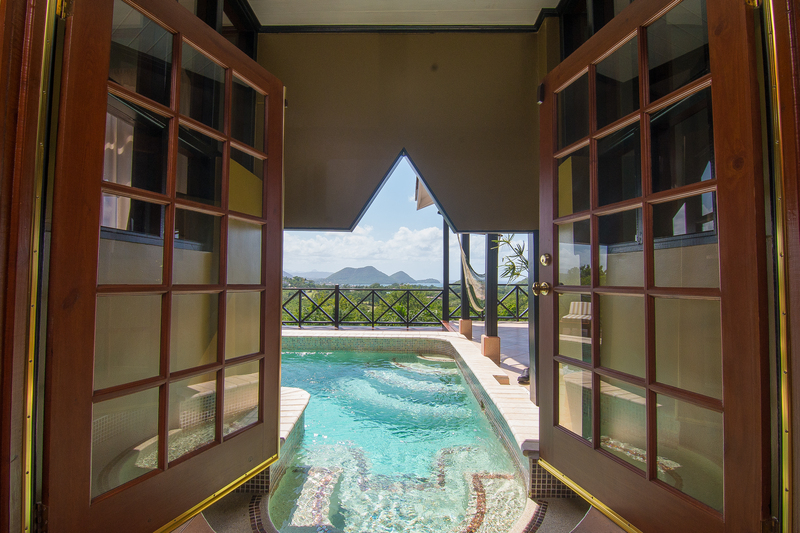 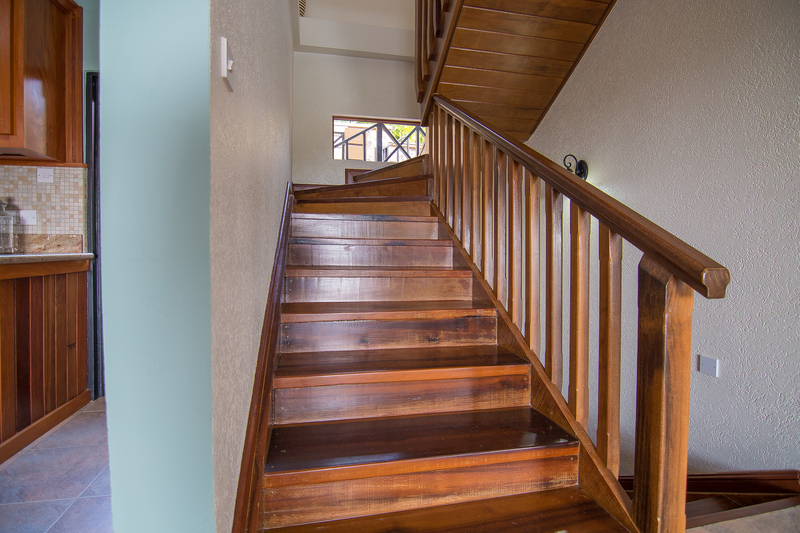 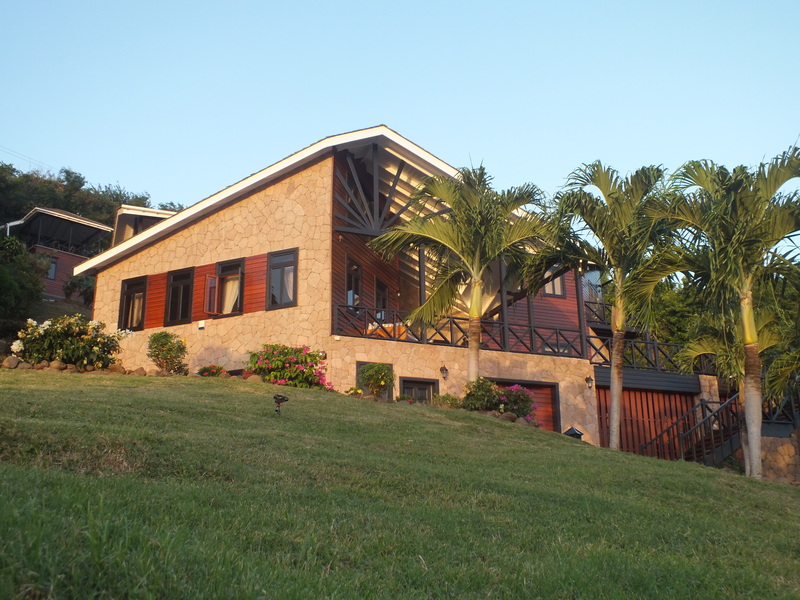 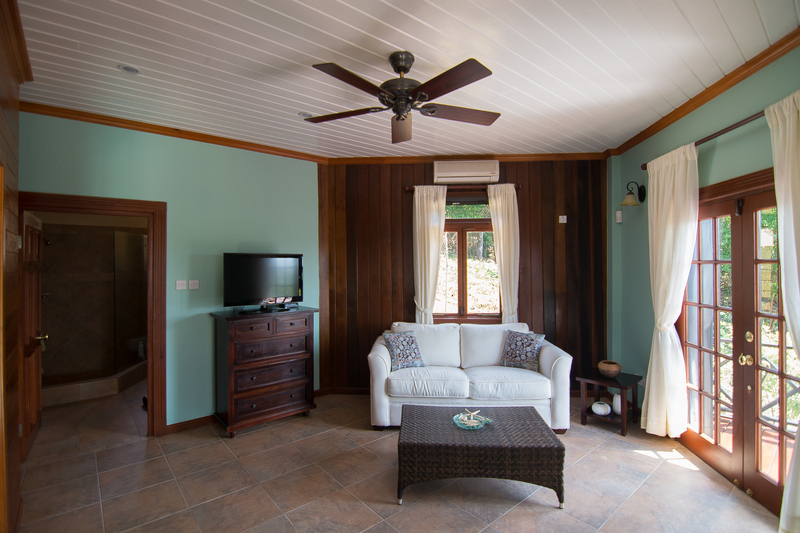 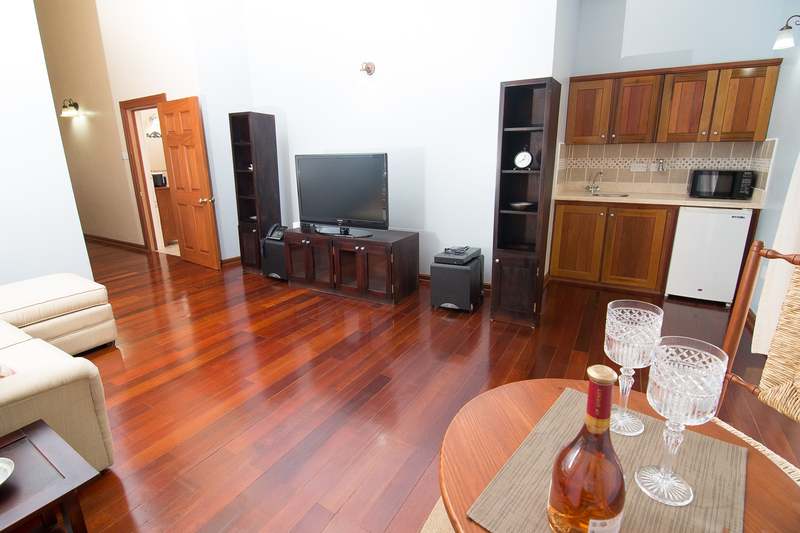 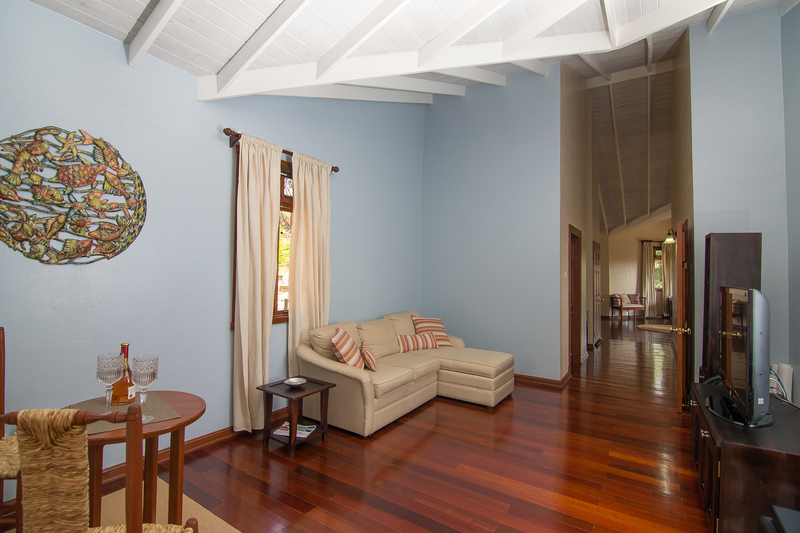 At the peak of the property, as a crowning glory, is a two-floor guesthouse comprising of small studio below and covered gazebo above, with its own wet bar, and absolutely the best panorama of Saint Lucia’s mountains and Caribbean Sea.